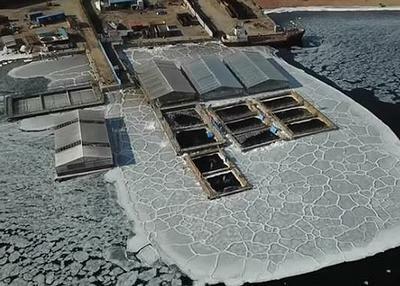 NAKHODKA, Russia, April 9, 2019 (ENS) – Officials in Russia have agreed to free almost 100 whales held in cramped sea pens in the Russian Far East for nearly a year after being caught for sale to foreign aquariums, especially in China and elsewhere in Asia. The decision on Monday to release the 87 beluga whales and 10 orcas came after international cetacean scientists, including famous oceanographer Jean-Michel Cousteau, signed an agreement with Russian scientists and local authorities, to free the captive whales. But the whales’ release may not happen all at once. “Scientists from Cousteau’s team and Russian scientists will decide when and which animals to release,” Kozhemyako said. 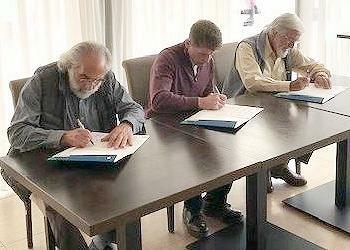 The joint statement was signed by Kozhemyako, Cousteau, and Executive Director of The Whale Sanctuary Project Charles Vinick. 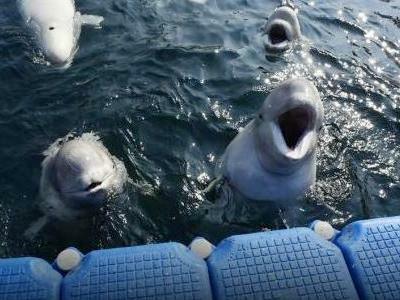 When all the captive whales are released, the so-called “Russian whale jail” will be closed. The change of heart on the part of Russian authorities comes after months of international outcry and delivery of a petition to release the captive whales with more than 1.5 million signatures on it. The plight of the jailed whales angered animal rights groups and gave rise to a petition to release the whales, shared by actor Leonardo DiCaprio on social media. Actress Pamela Anderson also posted an open letter to Russian President Putin on her website. Images of the whales, kept in enclosures in a bay near the Sea of Japan port of Nakhodka, first appeared after they were caught last summer by firms which planned to sell them to marine parks or aquariums in China. But while the Kremlin acknowledged that the whales were being held in cruel conditions, officials said it was difficult to release them into the wild without harming them. The Kremlin has said Russia has no direct ban on catching whales, but they can legally be caught only in specific circumstances for scientific and educational purposes. Meanwhile, Jean-Michel Cousteau has used his blog to bring the importance of the whales to public attention. “We have reached a point in our human evolution where people are realizing that cetaceans, including orcas and dolphins, are far too intelligent, sophisticated, and socially and behaviorally complex to be kept in concrete prisons,” he wrote. Kobylkin, speaking after the signing ceremony at a press conference with Cousteau, said the whales should be set free this summer. He claims they had not been freed before because it was winter.